VANCOUVER -- The aunt of a Syrian toddler whose lifeless body pictured on a Mediterranean beach sparked worldwide outrage over a refugee crisis says the flights have been booked to bring her relatives to Canada. 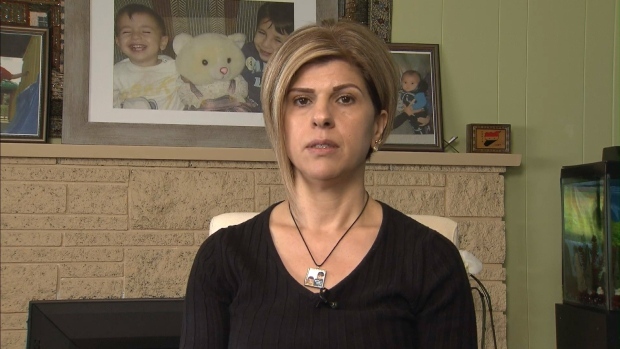 Tima Kurdi says her brother Mohammad Kurdi, along with his wife and five children, are scheduled to arrive in British Columbia the morning of Dec. 28. Mohammad is the uncle of Alan Kurdi, the three-year-old boy who died alongside his mother and older brother when their overcrowded boat flipped while crossing the treacherous waters between Turkey and Greece. Citizenship and Immigration Canada rejected an initial application from Tima to bring Mohammad and his family to Canada. She says that rejection prompted Alan's father Abdullah to try the deadly boat crossing. The case occurred in the middle of the election campaign and became a major issue for several days. Tima has opened a hair salon in Port Coquitlam, B.C., where she says Mohammad will join her as a barber.